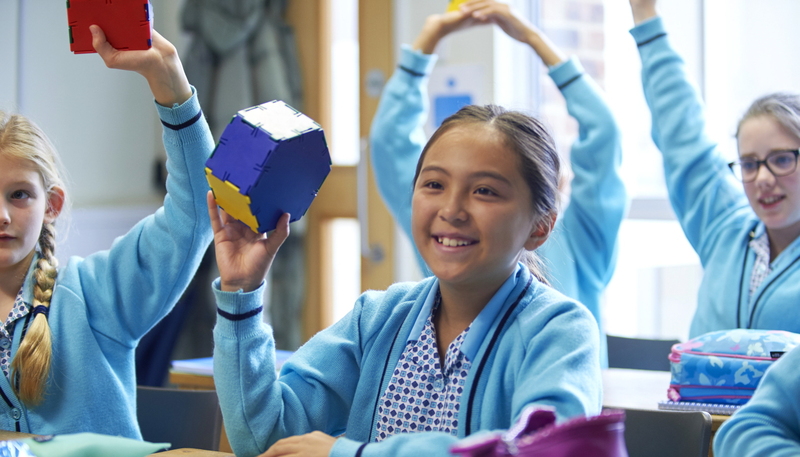 Mathematics plays an integral part in our lives and our aim is for the magic of the subject to be accessible to every pupil in all of its many forms: shape, space, measure, pattern, number, investigation, reasoning, logic and discovery. Mathematics is all around us! As the pupils discover Mathematics and develop their understanding we aim to make lessons fun, balancing practical tasks with learning theories and methods. We employ a variety of strategies to engage the girls and make the learning of mathematics relevant to everyday life. A child’s mathematical journey begins at a very young age and we nurture and encourage every girl’s mathematical understanding through carefully planned lessons and exciting tasks. We appreciate the value of parental involvement in supporting the girls’ learning and offer talks/workshops for parents of young children to familiarise them with the way mathematics is taught at Halstead. As well as encouraging creativity in solving problems, we instil good practice into our mathematics teaching so the correct formation of digits is emphasised, number bonds and times tables are learnt by heart and pupils are shown how to express themselves mathematically. Girls learn how to construct a logical argument when solving a problem, using a series of logical steps. This is continued throughout the school. Mathematics lessons are made interesting and engaging through the use of well-resourced classrooms, smart boards, i-Pads and lively teaching catering for individual needs and abilities. In our small classes there is plenty of time for help, support and challenge. From Year 3 onwards pupils are informally grouped, allowing each girl to progress at her own pace. Our girls are very well prepared for the rigours of entrance examinations in their final year, in more formal sets. We believe though, that success in exams is only a part of our aim - we provide a balanced curriculum along with nurturing mathematical self-belief in every child. We are very lucky to have access to a large outdoor area and this gives us many opportunities for developing our understanding of Mathematics, for example, girls enjoy exploring the Fibonacci sequence in the Secret Garden. 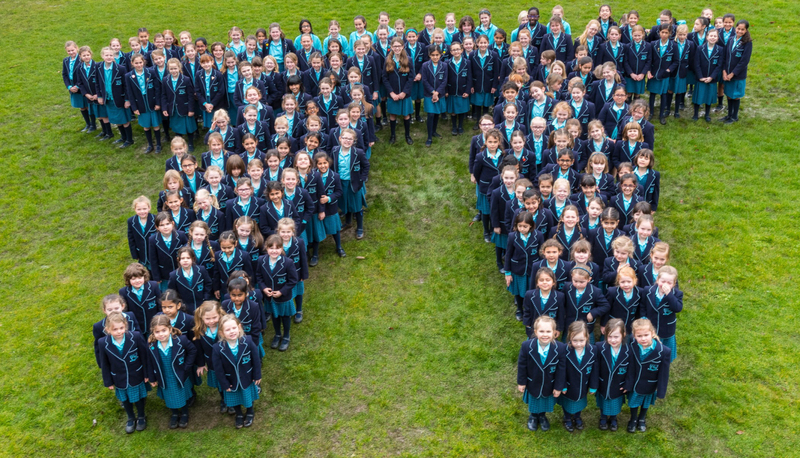 Halstead girls love Mathematics and we aim to give them many opportunities to shine in the world of mathematics, locally, nationally and internationally. Our half termly Owl Challenges (for times tables) helps them become proficient in their use of times tables, working forwards and backwards, finding missing numbers and problem solving. Girls take part in national and international Maths competitions such as the Primary Maths Challenge, UKMT, Young Mathematicians Challenge, various year group Maths Challenges, DC Beagle Y4,5 and 6 Maths Challenges, Mathletics Challenges. We do not miss any opportunity to celebrate Mathematics, ‘Pi Day’ being one example. Halstead is a centre for Royal Institution Maths Masterclasses where we stimulate, encourage and inspire young mathematicians from our own and other local schools in the art and practice of mathematics. Halstead girls are naturally numerate, very inquisitive and hungry for knowledge. Girls who grasp concepts rapidly are challenged with rich and sophisticated problems. Maths is a favourite at Halstead!